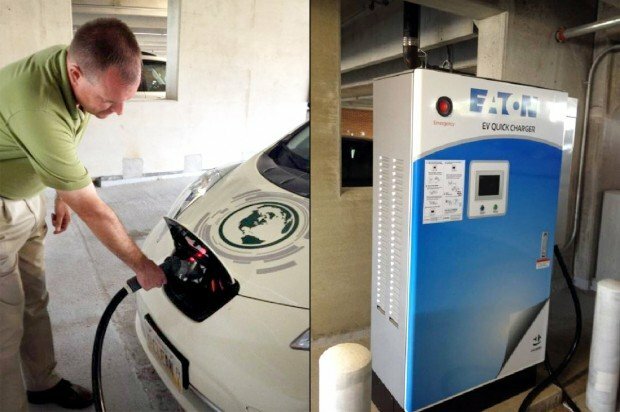 management company Eaton said its new HyperCharger is capable of fast-charging electric vehicles (EVs) up to 1 MW. Designed to charge large fleets of electric buses, the on-route charger was recently installed in several cities, including Tallahassee, Florida, Worchester, Massachusetts and Stockton, California. The solution is designed to help customers realize substantial cost savings by reducing the need to purchase, install and maintain multiple charging stations. NASCAR is driving its green efforts back to the office. The Daytona Beach-based racing company announced Monday a new multi-year agreement with Eaton, an electrical power management firm, to install 20 electric vehicle charging stations at three of NASCAR’s offices. When Dr. Arthur J. Boujoukos commutes from Franklin Park to the University of Pittsburgh Medical Center in Oakland, the health care system is paying to power his plug-in hybrid vehicle while he works. VANCOUVER – Electric car owners in B.C. will get a real charge out of this — the provincial government is spending $1.3 million to set up fast-charging stations in 12 communities. 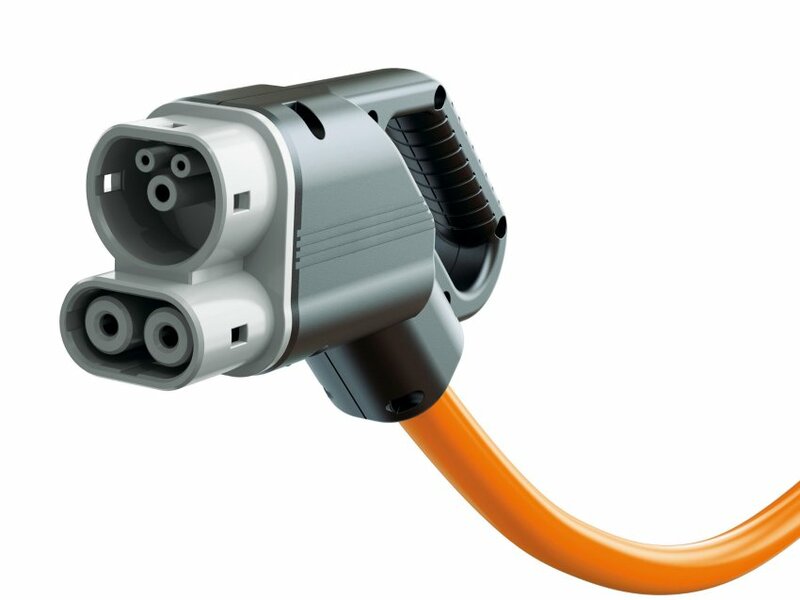 Volkswagen Group of America and Eaton have together unveiled a new single-port Combined Charging System (CCS). The Minneapolis City Council is moving toward a greener future by adding 25 charging stations for electric cars, but how necessary are the plug-in stations when electric vehicle sales are falling below projections? 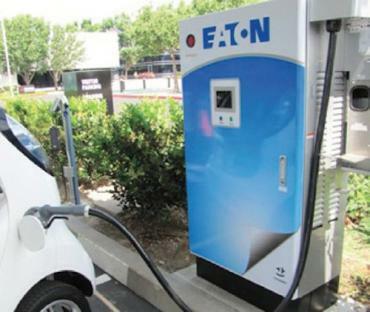 Electrical supply equipment makers like Eaton see big business potential in manufacturing electric car charging stations for both level 2 and quick charging scenarios. With a limited product portfolio in North America, Mitsubishi has been pushing its new electric vehicle, the i, pretty hard of late. La Palmera will show its green side this Thursday as they unveil its new electric car charging stations. AURORA — City leaders were the first to see two electric car charging stations, installed at the Chicago Premium Outlets mall, in action Wednesday morning. And besides being prime parking spots at the mall off Farnsworth Avenue, the new “level 2” charging stations will allow electric car users to power up while getting some shopping done. The Virginia Museum of Transportation is installing the first electric vehicle charging station in downtown Roanoke.